Elderly people are at a much higher risk for hearing loss. This is because hearing damage can accumulate over many years. Also, as the body ages, it can become more susceptible to problems such as hearing loss. Hearing loss is so common in elderly individuals that over 50 percent of all people over the age of 75 years old have some degree of hearing loss. What can elderly people do to protect their hearing? It is especially important for elderly people to protect the hearing capabilities that they have left. To do this, they can avoid loud noises, such as loud music, construction noises, machinery noises or gun shots. If these noises cannot be avoided, then earplugs should be used when elderly people are around them. For example, elderly people can wear earplugs when they mow the lawn. Noise-canceling headphones and earmuffs can also be used for protection against loud noises. How can elderly people improve their hearing? In many cases, hearing damage is permanent. This means that it cannot be reversed. However, this is not always true. So, elderly people with hearing loss should first see an audiologist for a hearing test and a diagnosis. There may be a treatment that can fix the hearing loss. However, if there isn’t one, then hearing aids are often recommended to improve hearing. Audiologists can be very helpful when it comes to getting fitted for hearing aids. Are there other things that can help in addition to hearing aids? 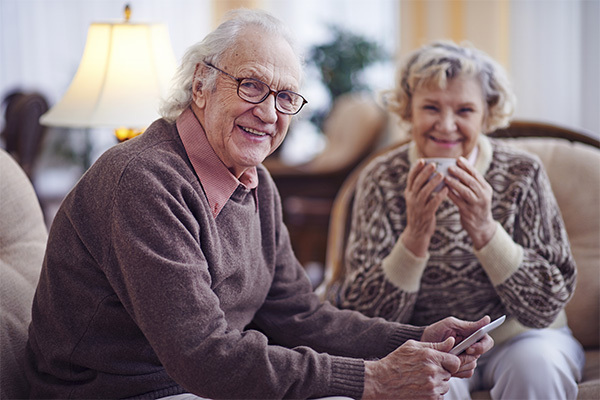 Yes, if you are an elderly person and you would like to address your hearing loss in other ways besides hearing aids, there are other things that you can do. For example, you can get speech or lip-reading training. This can help you to better understand the speech of other people. Speech or lip reading training involves learning how to look at people’s lips as they talk to better help you understand which words that they are saying. This can be a very helpful supplement to your hearing aids. Audiologists often offer this kind of training. If you’re struggling with hearing loss, don’t put off treatment any longer. Locate an audiologist in your area and discuss what options are available to help you not only hear better, but to improve your quality of life as well.